www.passportindia.gov.in - Want to know the step by step instructions to apply for passport? Earlier, getting passport was biggest issue but now its totally simple process, no need to go to travel agent, no need to pay bribe to get passport. Here in this article I have included complete and official steps to apply for passport. Let’s have a look at it. Update :- now issue your urgent passport (within a week) with only four documents). Read Here more. First of all you will need application form. However, you can apply online as well and it will be more convenient for you. Follow these instructions to apply online for passport. 2. Register yourself by creating a new user ID. 3. Fill up the details asked and click on register. 4. Now, to log in you need to enter your user ID, password, and captcha characters to login. 5. On the next page, you will get different options for passport. Choose “Apply for fresh passport/Reissue of passport”. 6. Now you will get two options to fill up the application form. If you want to download form and upload later then download it. If you want to fill up the form online only then go further. 7. To go for online submission, you need to click on the alternate 2. 8. Fill the application form online with mandatory details and documents then submit it. 9. After you submit application you can view saved/submitted applications. Click on that. 10. After that, you need to make payment and schedule appointment for visiting PSK. 11. You can choose online payment and challan payment options to make payment. 12. Select the preferable option and then select PSK, enter captcha characters, and click on next. 13. You will get the earliest appointment date. Select the date and click on “pay and book appointment”. 14. Click payment mode of your ease and pay specified application fee amount. 15. Next, you will get confirmation of appointment for visiting the PSK. 16. Now, print the application receipt. 17. Check the appointment date and time on application receipt. In case, for any further additional information or explanation you can contact on the national call centre at toll free number 1800-258-1800 and get help. 1. How many days it takes to get passport? Now, according to the new rule the customers who apply online for the passport can get it in 10 days. 2. Is your registered rent agreement is accepted as a valid proof of address? Yes, you can now give your registered rent agreement to get your passport. 3. What types of passport can be issued in India? You can apply for 3 types of passports in India such as Ordinary Passport, Diplomatic Passport, and Official Passport. 4. What is the definition of minor to get the passport? Applicants having age below 18 years are considered as a minor to issue the passport. 5. What is the validity of minor’s passport? The validity of minor’s passport is limited to five years or till they reach at the age of 18 years. The minors aged between 16 to 18 years can apply for 10 years validity passport or for a passport which is valid till the minor completes the age of 18 years. 6. What are the benefit that senior citizen get for issuance of passport? 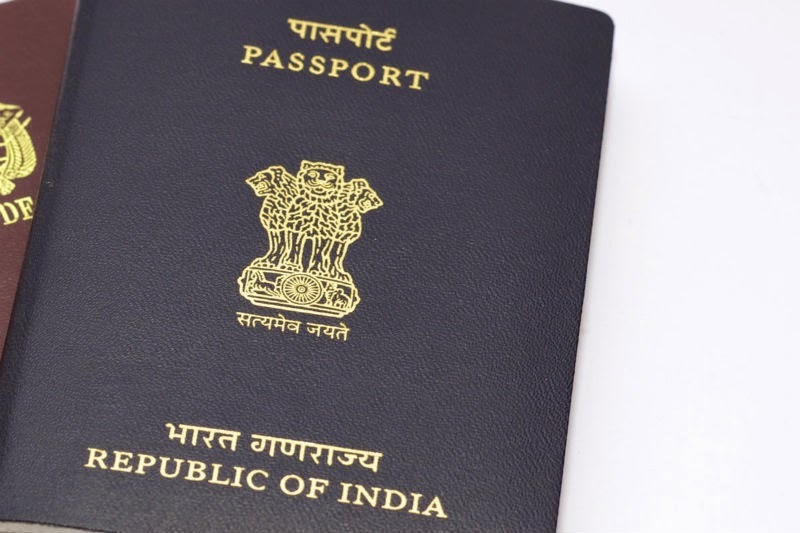 Senior Citizen’s passport can be issued on post police verification basis if they submit copy of children’s passport who is staying abroad as an additional document with the application form. 7. What benefits are given to the retired government employees? The retired government employees can be issued a passport on post police verification basis if they submit the Pension Payment Order as an additional document with the application form. 8. Can an Indian passport be issued to applicants born outside India? The Indian passport can be issued to the “Citizen of India by Descent”, the person who is born to Indian parents outside India. 9. How to change name on passport for newly married applicant? To change the name on your passport, you have to apply for “Re-issue” of passport and get definite change done. 10. What to do if an applicant have a court case? If the applicant has criminal case in any court, then he can be issued passport subject to the condition that you attach a written permission by the court permitting you to travel abroad. Note:- As the Passport Seva Kendra Site is managed by Tata Consultancy Service (TCS), you feel easy and happy to get passport. Moreover, if you have any doubt or query please leave comment below and get your answers.